Pienza, a UNESCO World Heritage Site, is located in the Val d’Orcia region of Tuscany and the province of Siena. Pienza, previously known as the village of Corsignano, was where Pope Pius II was born in 1405. It was rebuilt under the plans of Bernardo Rossellini over a 3 year period and completed in 1462 as the ideal city in which the Pope could use as a retreat from Rome. 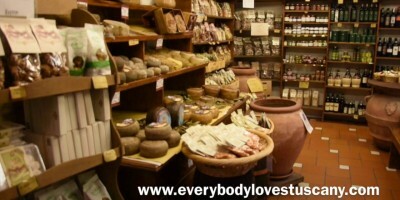 Pienza is also famous for Pecorino Cheese. The town is filled with shops offering this worldwide renowned sheep’s milk cheese to taste and purchase.